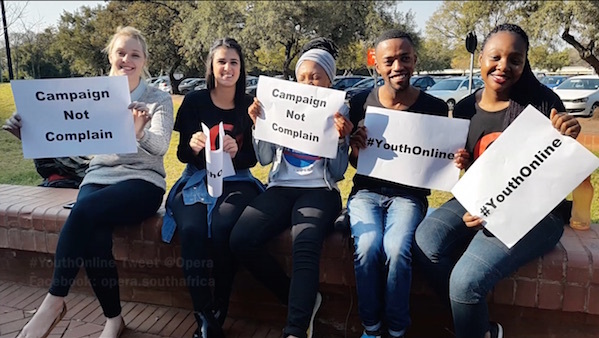 Youth Day in South Africa is just around the corner and our Opera ambassadors are preparing for an exciting online campaign that they hope will bring attention to important issues and make a real impact in their community. We see more and more that the internet has given youth around the world a bigger voice to share their thoughts and views about anything on a global platform. It has also provided an important platform to bring together communities with collective beliefs to drive social change, create conversations and encourage active citizenship. This is why Youth Month is the perfect time to get that online voice heard! The Opera ambassadors are calling upon their South African peers on Twitter, Facebook and beyond using the hashtag #YouthOnline and @Opera. 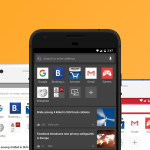 Through Opera’s Facebook and Twitter pages which reach millions of fans around the world, we hope to help give the youth a boost in their efforts of effecting social change. Social media platforms are often dominated by young people, but the youth have expressed frustration that sometimes their digital voices don’t carry over into the physical world. We hope that #YouthOnline with Opera, can help young people work together to focus conversations on a single, important topic. This will be an effective first step in making the voices heard and turn online discussions into real conversations that positively impact the country. 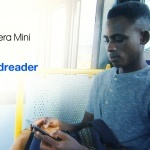 Via #YouthOnline @Opera, the ambassadors hope to zero in on the most talked-about topics of their peers and from those, create a collective and digital charter! This is a physical document that will be presented to the national decision makers reflecting the solutions by the youth community members. Follow this campaign on our Facebook page or via our Twitter feed of #YouthOnline with @Opera and support with your contribution.